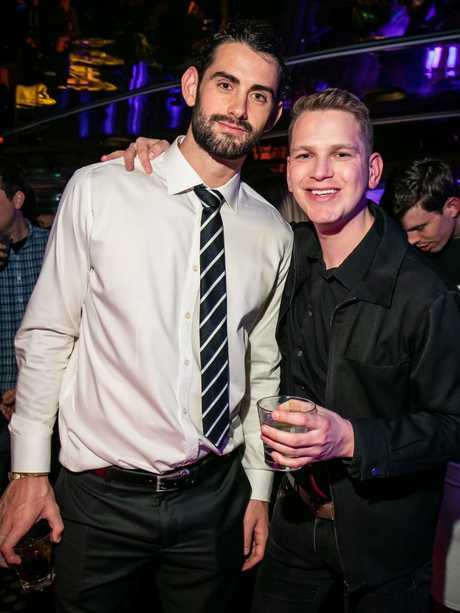 COLLINGWOOD players drowned their sorrows from yesterday's heartbreaking Grand Final with shots at a Melbourne nightspot. 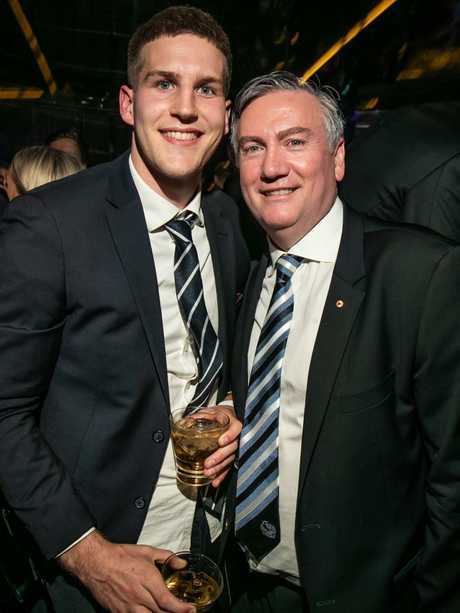 President Eddie McGuire joined Magpie stars including Mason Cox, Scott Pendlebury, Adam Treloar and Steele Sidebottom at Bond Bar. GF RATINGS: WHO STARRED AND WHO FLOPPED? Players, their family and friends arrived at the bar in Bond St about 1am with a private room dedicated to more than 100 guests. The team enjoyed free-flowing champagne and the party continued long into the night. 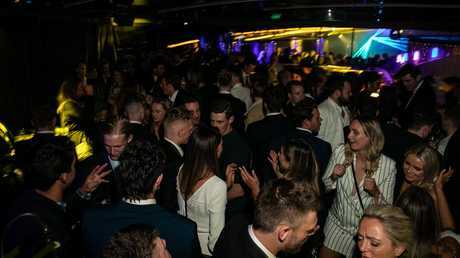 This is the third year in a row that an AFL Grand Final team has celebrated at the glamorous nightspot. Other players spotted at the club included Josh Thomas, Jeremy Howe and Jordan De Goey. Earlier, McGuire and Nathan Buckley addressed a sombre crowd at Collingwood's official Grand Final dinner at Melbourne Convention Centre. The Magpies surprised experts by making the Grand Final and led until late in the last quarter when Eagle Dom Sheed kicked the matchwinning goal. Steele Sidebottom, Mason Cox and Eddie McGuire share a drink at Bond Bar. 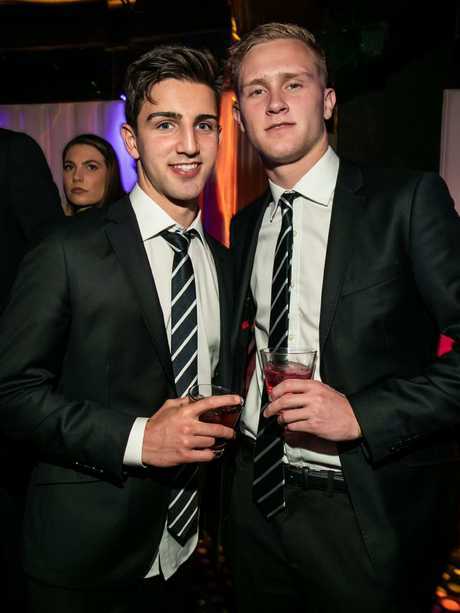 Josh Daicos and Jaidyn Stephenson. 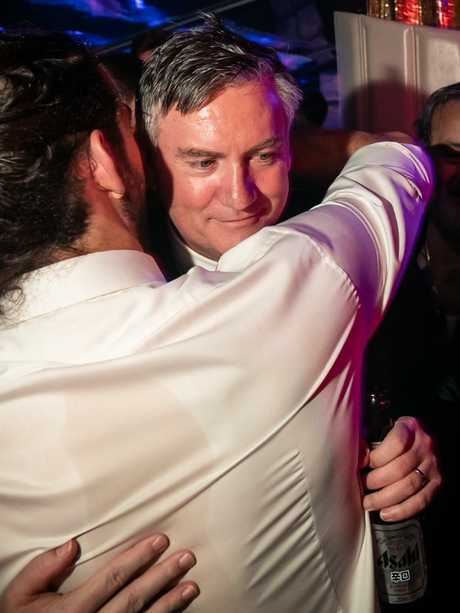 Eddie McGuire gets a hug. Eddie McGuire puts on a brave face. The party went long into the night. 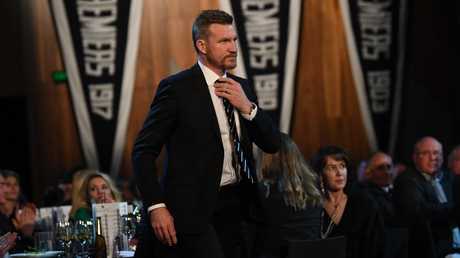 Collingwood coach Nathan Buckley at the Pies’ Grand Final dinner. 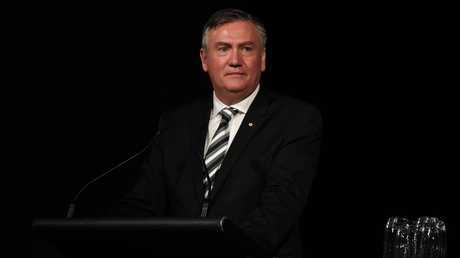 Eddie McGuire addresses the crowd at the Collingwood dinner.